Sri Lanka is a small and a beautiful island in the Indian ocean. It is a tropical country. India is the nearest neighbour. It has nine provinces and 25 districts. Its extent is 275 km from North to South and 145 km from East to West. It has a population of 19 million. There are four communities residing in our country. They are the Sinhalese, Tamils, Muslims and Burghers. Their religions are Buddhism, Hinduism, Islam and Christianity. You find beautiful beaches along the coastal line. Mount Lavinia and Negombo in the West coast, Weligama and Hikkaduwa in the south coast and Kalkudah and Pasikuda on the East cost. There are interesting places such as Nuwara Eliya, Trincomalee and Jaffna which are popular tourist destinations. Historically important places are Anuradhapura, Sigirya, Badulla and Kandy. You can see Wildlife sanctuaries in Yala, Wilpattu and Kumana. The hill country is in the central island. Sri Pada and Pidurutalagala are the two highest mountains in the island. The Mahaweli, Kelani and Kalu ganga begin from the highlands. Dunhinda and Diyaluma are well-known waterfalls in our country. Sri Lanka’s economy depends on agriculture and trade. The main cash crops are tea, rubber, coconut and spices. Sri Lanka is well known for gems and jewellery too. It was a rainy day. I had my dinner early and I was tired and sleepy I said “good night” to my mother and brother and went to sleep. While I was sleeping I heard someone calling my name. 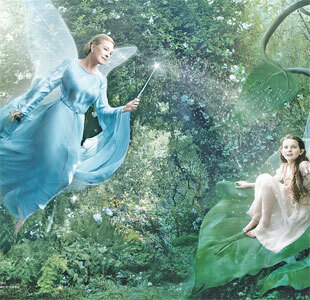 It was a fairy. She had a magic stick and wings. She asked me, “Would you like to go to fairyland?” I said, “Yes.” She took me to the sky and waved her magic wand four times. Then I flew along with her. We flew over the clouds and soon we were in fairyland. “Do not touch anything,” she told me. But I forgot her warning and touched some flowers which I had not seen anywhere before. Suddenly I fell into a deep dark world. I cried loudly and felt my mother’s touch. It was midnight and I realised it was only a dream. Fire means heat and light that come from burning things. Ancient man discovered it by seeing the jungle fires. It must have started due to a lightning flash or the sun rays falling on dry leaves and plants. Man experienced the warmth of the fire and thought it could be useful for many other purposes. Fire keeps men warm in the cool regions. He saw fierce animals running away from fire. He used fire to protect himself from dangerous animals. Besides he tasted the flesh of animals roasted over the fire and found it tastier than raw flesh. Man was eager to discover some ways to make a fire when needed. When a stone was thrown to hit a hanging fruit or a fierce animal it missed the mark and hit a rock making sparks. It gave him an idea about how he could make a fire. Our parents devote their lives to us by giving much love and care we need. They teach us the right and wrong and they show us the correct path. They provide us with necessities such as food, clothing, education and shelter. When we fall ill they give us medical care. More than their comfort they provide us with our needs. What can we give them in return? Obedience. We should always listen to them as children and obey our parents. When we are young our parents give us everything. We should never be stubborn. Children who do not obey parents face unfortunate incidents. Reports on such incidents appear in newspapers every day. Let us all obey our parents and be good citizens. 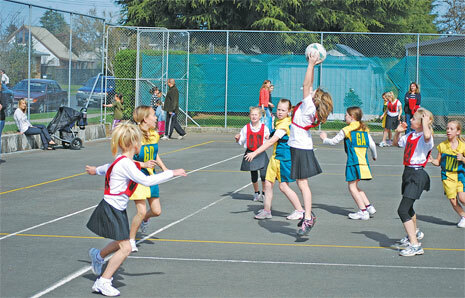 My favourite sport is netball. It is one of the most popular sports in Sri Lanka. We play netball in the open. It is good for our health. When we play netball we exercise our bodies. Netball is a team game. There are seven players on each side. I like to play netball every day. Though Sri Lanka is a small island it has an enormous variety of wildlife. Sri Lanka has 24 wildlife reserves which are the home to a wide range of native species. All wildlife parks or nature reserves are set aside for the protection of wildlife. The wildlife parks help the proper management and conservation of the environment. Wildlife is protected to prevent their extinction. Extinction means the disappearance of wildlife from the face of the earth. The national parks provide suitable habitats for wildlife. The three largest reserves are the Ruhunu National Park, Yala National Park and the Gal Oya National Park. The Ruhunu and Yala are the most accessible national parks. The Wilpattu National Park has a large number of leopards. The Gal Oya National Park is famous for elephants. The conservation of wildlife is important. Tigers live in North Africa. They eat meat. Tigers are usually orange in colour with black stripes. The babies of tigers are known as cubs. Female tigers are good hunters. Sigiriya is a rock fortress. It is in the central Matale District near the town of Dambulla in the Central Province. 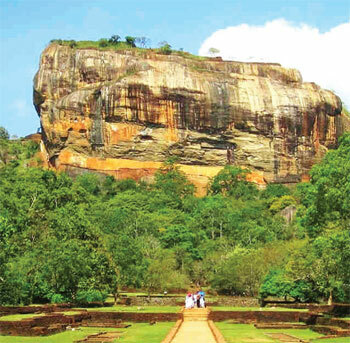 Sigiriya is a rock palace built on top of a rock. The entrance of the fortress is shaped like a lion's mouth. Therefore the rock was called “Sinha Giri.” Later it was known as Sigiriya. Sigiriya was built by King Kashyapa in the fifth century. There are world famous paintings in it. The history of the fortress is a wonderful story. Moggallana and Kashyapa were the two sons of the two queens of king Dathusena who ruled Anuradhapura. Kashyapa was the youngest of the two sons and he wanted to become the king. He killed his father and got the kingship. Moggallana was angry about this and wanted to kill his brother, Kashyapa. To escape from his brother, Kashyapa fled Anuradhapura and built a beautiful palace on the top of a rock so that nobody could reach him. Sigiriya is a heritage site. We must protect it.